The smartest path to a nursing career. Leverage your non-nursing bachelor’s degree to earn a MSN in 19-21 months. Clicking the "Learn More" button constitutes your express written consent to be emailed, called and/or texted by Marquette University at the numbers you provided (including a wireless number if provided) regarding furthering your education. You understand that these contacts may be generated using automated technology and that you are not required to give this consent to enroll in programs with the school. For more than 75 years, our faith-based university has graduated some of the most sought-after nurses, and we want you to join the rankings. All of our nursing programs are CCNE-accredited, which means you can rest assured you’re receiving a quality, well-respected education. Our accelerated Direct Entry MSN program in Pleasant Prairie, Wisconsin, leverages your bachelor’s degree in a non-nursing field so you can graduate in 19-21 months. The program blends online courses with hands-on learning so you graduate fully prepared to take the NCLEX-RN exam. Our accelerated Direct Entry MSN program offers a much stronger return on your investment as compared with a 16-month ABSN program. With just a few more months of study, our program significantly expands your worth in terms of both earning potential and career advancement. Our Program at a Glance. With starts in January and August, our accelerated Direct Entry MSN second-degree program leverages your previous academic experience so you can earn a master’s degree in just 19-21 months. Online didactic coursework replaces the traditional classroom environment. Program site for hands-on learning is based in Pleasant Prairie, Wisconsin. Clinical practice occurs at top health care facilities in southern Wisconsin and northern Illinois. Faculty and staff offer their full support throughout the program. By graduation, you will be fully prepared to take the NCLEX for earning your RN licensure as well as have the knowledge and experience necessary to excel in different areas of advanced nursing. Our Program Makes the Difference. Our Direct Entry MSN program not only puts you on the fast track to becoming a nurse, it also provides you with a high-quality education from an accredited, top-ranking university. As you research different nursing programs, keep in mind that most accelerated BSN programs take 16 months to complete. With just a few more months of study, our accelerated program will allow you to earn a significantly higher salary as well as increase your marketability as a medical professional. Ready to Make a Wise Investment? 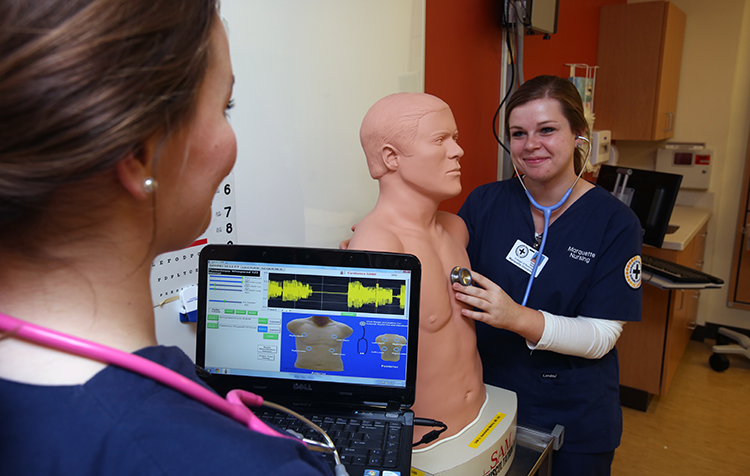 Our accelerated Direct Entry MSN second degree program is the smartest way to transition into a nursing career. You’ll receive a respected MSN degree from an accredited program that affords the best return on your investment. Call us at 866.891.8863 to schedule an interview with an admissions adviser. It will be one of the wisest decisions you’ll ever make. You can also complete the form above to have an adviser contact you.